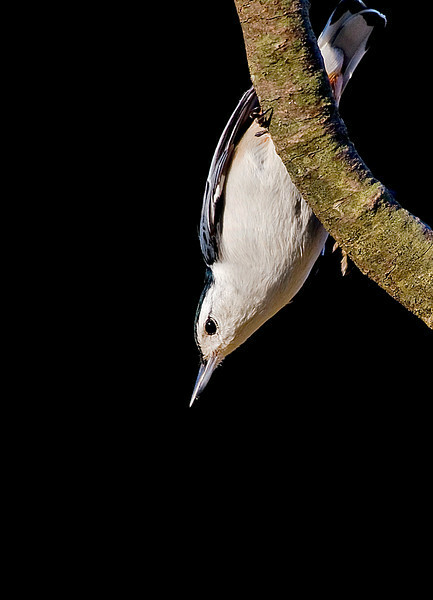 And a good example that the laws of physics don't seem to apply to birds, and particularly nuthatches. Very cool shot...I have only seen one of these at my feeder and that was a while ago! Awesome capture! Love the composition! Wonderful shot, love the composition and sharpness.